Word is out – there’s vinyl in Sydney too! 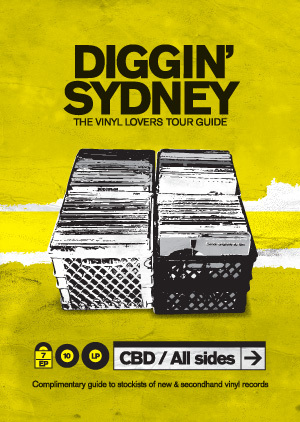 The inaugural Diggin’ Sydney Tour Guide is arriving soon. Record Store Day in fact! Saturday April 20, 2013. Dig it. Huge thanks goes out to Stephan at The Record Store (recordstore.com.au) and all the stores who are participating in the initiative this year. Look out for yours – in all good record stores and music emporiums. Website coming soon.